Considering our excellence in providing all things hunting and camping, it is no surprise that GrabAGun has the best selection of tents to take your hunting and camping experience to the next level. A variety of diverse styles, capabilities, and sizes of tents can all be found within our enormous online digital library. With so many options to choose from, let GrabAGun be your source for the tent you need for the situation your life demands. Tents come in a wide range of sizes; GrabAGun is sure to have has the right tent for the right scenario. 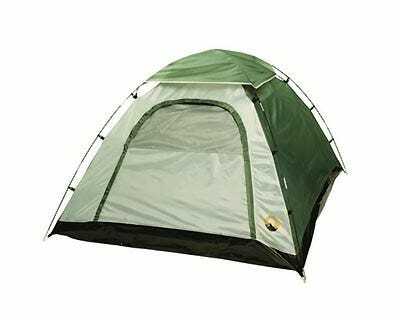 If you are looking for a lightweight, easy-to-carry, inconspicuous one-person tent for the long trips alone, our stores have you covered. If you are looking to snuggle up with a loved one on a romantic two-person getaway in the woods, GrabAGun has the tent for you. When you are taking the entire family our for an excursion, we offer multi-room tents that will allow six or more people to get comfortable and not feel like they are sleeping on top of one another. From our selection, you can also pinpoint the tent you need for the weather you will be facing. Be ready for those long wet nights with some of our tents designed to withstand torrential downpours. If you find yourself in need of extra warmth, find the tent with added winter protection. Or, if you just want to stay comfortable with lots of breathable flaps in the summer, you can find a tent out of our selection to help you beat the heat.